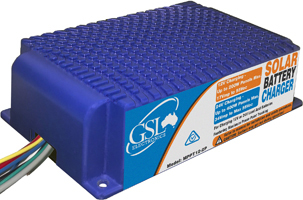 Power on 12V Battery systems and up to 400W on 24V Battery Systems. This is up to twice the power of the previous MPPT12-2 with nearly no increase in size. Also featuring full encapsulation to improve robustness and ability to withstand harsh environments and handle external conditions. Maximise the output of your small arays with our MPPT12-2P. Suitable for single or double portable or fixed panel systems upto 55Voc. Built with charging regimes for Vented and Sealed batteries. Along with Dawn to Dusk load switching and Low Voltage Disconnect built in. It is hard pressed to find a feature that is not built in.